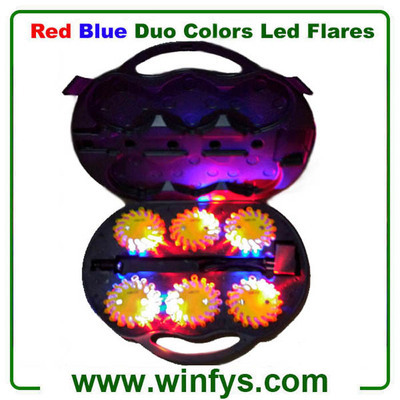 The Led Flares is signaling device especially designed for police, firefighters and rescue first responders. Led flares has magnetic bases, making it easy to attach them to your vehicle. Its housing is made of PC, TPE and TPR. So, It is crush-proof, up to 20,000 pounds and can be driven over by a truck. It is waterproof and can float in the water. No disposable batteries Required. 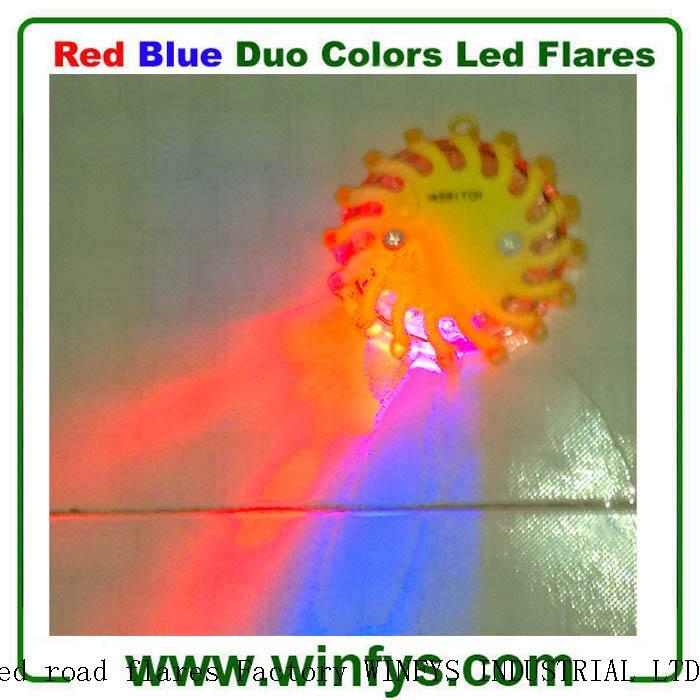 An Led Flares that does not produce a flame, smoke,or harmful bi-products and does not require batteries! It is rechargeable and it is ready for use when needed.